Luer connectors are not included and may be purchased separately. Blood pressure measurement is one of the most common - and the most vital - standard procedures during routine physical exams. It can also be one of the most confusing due to the myriad options, components, and accessories that come with the equipment. 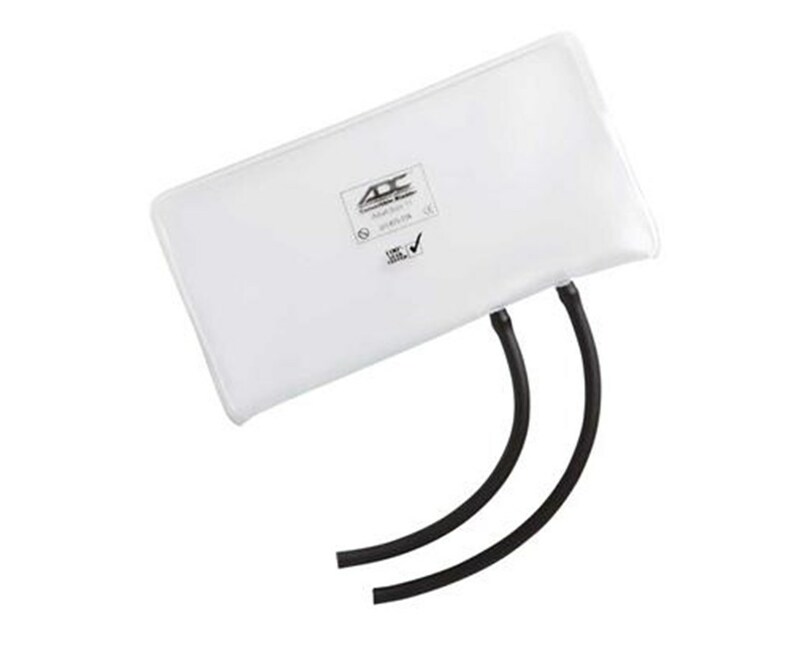 ADC's revolutionary one-tube/two-tubeconvertible bladderprovides an innovative way to simplify blood pressure management. With the convertible bladder, there is no need to search for, purchase, and organize extra gear. It can be used as a one-tube and two-tube bladder, complementing virtually all blood pressure monitors, cuffs, and inflation systems. The bladder has one attached tube; simply attach the included second tube for a two-tube bladder, or cover the second port with the included bladder cap for one-tube use. 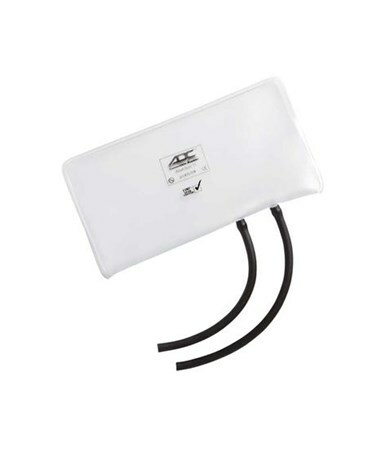 The bladder, tubing, and bladder cap are all constructed of latex-free material for patient and clinician safety. The bladder is crafted of specially formulated material that mirrors the tensile properties of latex with improved environmental performance; it provides the feel and benefits of latex without the danger of allergic reactions. ItsRF welds have been 100% leak-tested to 50,000 cycles. The bladder and its components arrive complete in individual boxes for cleanliness and protection. A three-year warranty ensures satisfaction and optimal performance. Choose from infant, child, small adult, adult, large adult, and thigh sizes in the drop-down menu in the upper right corner of this page. Each bladder has its size and model number clearly printed on it to avoid sizing mistakes and confusion.